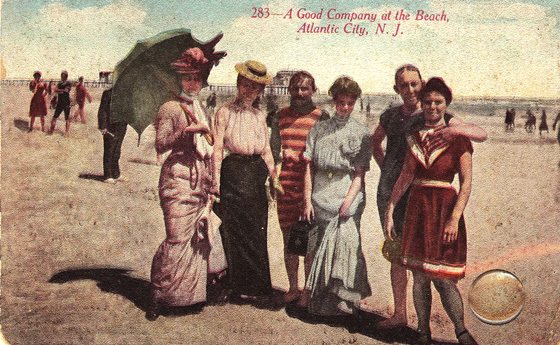 The dress code in Atlantic City is mainly casual, but it wasn't always casual. 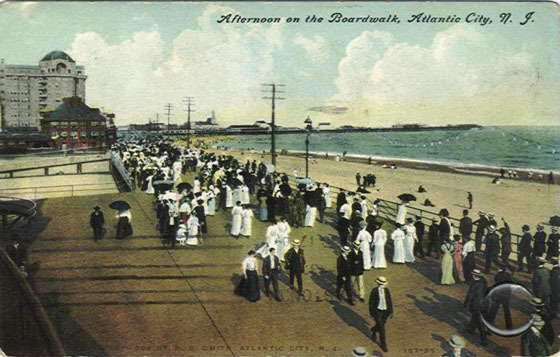 One hundred years ago people got all dressed up to walk on the Atlantic City Boardwalk. They also covered themselves to go on the beach. Postcard by M. B. Smith - from the collection of Thomas Topham. No casual dressers seen in this group. Photo by Detroit Publishing Company - from the Library of Congress. 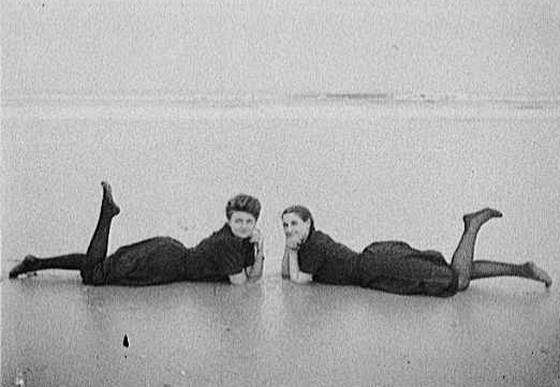 Bathing Beauties 1880 - 1920. Not much skin showing. It wasn't just the women who had to cover up, the men also had to cover up. But not the dog. Postcard by M. & Co., N.Y. - from the collection of Thomas Topham. 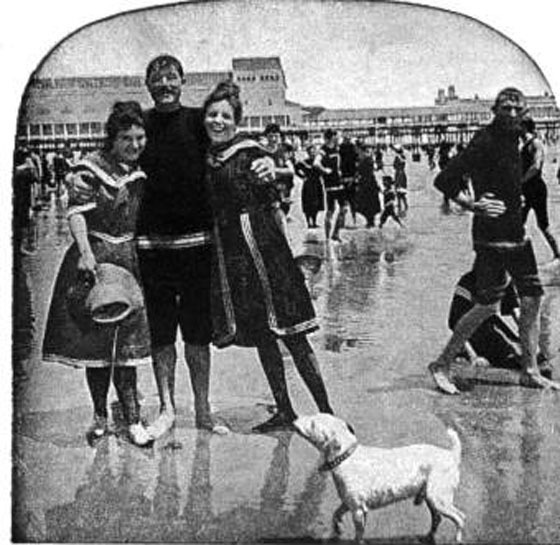 What they wore on the beach in those days. Will they go in the Water? 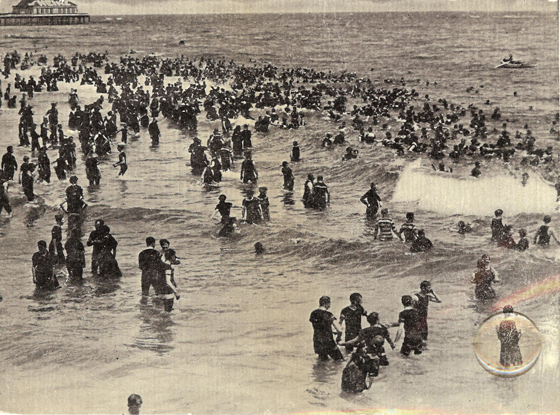 Many went in the water, most skin covered. 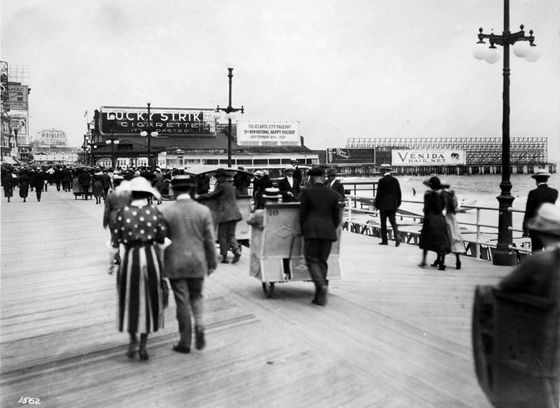 See what everyone is wearing while walking on the boardwalk.